What if Death Were Not the End? A friend of mine recently died – unexpectedly and much too early. His death left a deep void for many of his friends. It left an empty space in my life as well, and like so many times before I hoped he would in any way contact me, or leave me a sign. But like all other times, nothing happened, and again I thought about what may happen after death. As someone who studied psychology and neurology but also loves to go beyond scholarship, I have investigated the subject in its different aspects and had long planned to write an article about this. The death of my friend finally made me sit down and do it. I’ll present three different approaches to the subject which come to different conclusions. At the end, there will be a more likely and a less likely outcome for the readers. I leave the conclusion to each of them. The questions are probably as old as mankind itself: what happens after we’re biologically dead? Is there life after death? Is there an Otherworld? Will we be reborn? Or is there just nothing after we close our eyes forever? The different cultures have found different solutions for this question. For some cultures that have still shamanic background, the dead continue to exist in a world that continuously touches ours, is as real as our world and can be accessed by breaking through the thin membrane between the two realities. In antiquity, the dead often had to undertake a long journey to another world far away and needed therefore supplies to have a safe trip and a good status in the Otherworld. Today’s world religions don’t agree with each other concerning this question, either. In Hinduism and Buddhism exists the concept of reincarnation; Judaism, Christianity and Islam divide the souls in good and bad ones and the Otherworld in Heaven and hell. Modern science doesn’t conceive any further existence after death at all. Western societies educate their members with the idea of life that happens by chance, with no hope for another reality. Dead is dead and there’s no doubt that everything is over for the one who passes through that doorway. This happens majorly because modern science refuses the idea of a god, of a reality beyond matter. Only what we can experience is real – all the rest is fantasy. For those who die, the world ceases to exist. Innumerable people have therefore tried to find the sense of life and got lost in the desperation of not finding a deeper meaning to their existence. However, in the last decades, scientists have started to ponder the question whether an existence after death might be actually a possibility. As quantum physics naturally trespassed the rigid frontiers of positivism – the type of science that denies anything we have no proof for – also the concept of existence started shifting. The fact that people who had been clinically dead and were reanimated all reported the same experiences of leaving their physical bodies, entering tunnels of light and feeling extreme happiness and freedom, triggered a whole bunch of investigations that would try to scientifically explain what was actually happening. Perception and the brain: a doorway to the explanation of near death experience? A recently published study focuses on the aspect of perception. The scientists think that the near death experiences are based on neurological processes that provoke particular pseudo-experiences when we die. When we’re about to die, we reach a state that doctors call “clinical death”. That is when the heart stops beating. Scientists observed that in the first 30 seconds after clinical death, there was strongly synchronized brain gamma-wave brain activity, similar to the moment when the brain is highly stimulated. They concluded that the reduction of sugar and oxygen supply can enhance the brain’s activity. This, so the scientists, is the reason why many people have the feeling to pass through a tunnel of light. However, they say, after that light it’s really over. The clinical death is followed by the biological death. All functions of organs and cells are finally terminated. So far the commonly accepted scientific theory concerning near death experiences. However, inevitably the question arises: if so, and if all near death experiences are based on mere brain stimulation given by the lack of sugar and oxygen, how come all NDE reports are the same? Let’s compare the described situation to our dreams. Basically, we’re in front of a similar phenomenon, only that it’s not based on the lack of any vital substances. So let’s have a look at the brain. Our brain consists of several parts. Much of the size of the human brain comes from the cerebral cortex, especially the frontal lobes, which are associated with executive functions such as self-control, planning, reasoning, and abstract thought. The human cerebral cortex is a layer of neural tissue that covers the two cerebral hemispheres that make up most of the brain. (Wikipedia) The two hemispheres which have different tasks are interconnected by a small organ called pons (lat. “bridge”). The pons is part of the brainstem, and in humans and other bipeds lies between the midbrain (above) and the medulla oblongata (below) and in front of the cerebellum. This region of the brainstem includes neural pathways or tracts that conduct signals from the brain down to the cerebellum and medulla, and tracts that carry the sensory signals up into the thalamus. In the research about dreams, scientists have observed that during sleep electric impulses are being fired on the cortex, coming from the area of the pons. They came to the conclusion that the pictures of our dreams are being triggered by the area of the cortex where the impulses arrive. However, the discussion between behaviorists and depth psychologists has never stopped as the depth psychologists sustain that the pictures aren’t created by chance but have something to do with the psychological situation of the dreaming individual. However it is, one thing is for sure: when we sleep, impulses reach the cortex where entire movies are being created, and whether they have a deeper psychological meaning or not, we all know that our all dreams are far from being only slightly similar. Our dreams are as individual as we are. So why should our all brains create the almost identical pictures in a situation when again our brains experience stimulation – in the moments after our clinical death? This seems illogical. A group of doctors has therefore performed an in-depth research on people who were clinically dead and could be reanimated. They came to very different conclusions. Breakthrough scientific evidence for the afterlife. The Scole Experiments. For five years a group of mediums and scientists witnessed more phenomena than in any other experiment in the history of the paranormal, including recorded conversations with the dead, written messages on sealed film, video of spirit faces and even spirit forms materializing. These experiments may finally convince you there is life after death. 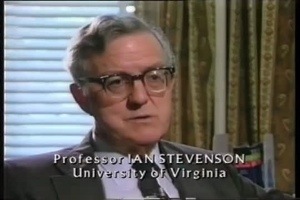 The scientific team in change of overseeing these experiments include world renowned Cambridge Scientist – Dr. Rupert Sheldrake, Dr. David Fontana and Researcher Montague Keen who died during the filming of the documentary. 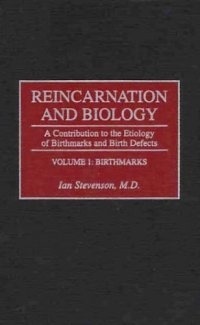 Birthmarks And Reincarnation: Is There A Link? This work will be of particular interest to physicians, psychiatrists, biologists, and anthropologists. In addition, those concerned with paranormal phenomena and the mind-brain problem will find this work challenging.